There has been a lot of confusion in the media lately regarding when and how often a woman should get a mammogram to check for breast cancer. 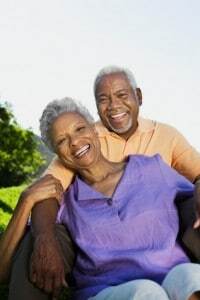 But for older women, it’s simple: Women ages 50 to 74 should get a mammogram at least every two years, according to Dr. Richard Frank, who serves as medical director for WellPoint’s affiliated Medicare products. Even women 74 and older may want to continue getting a mammogram every two years, depending on their health and doctor’s recommendation. Breast cancer occurs when cells within the breast tissue divide and grow abnormally. Except for skin cancer, it is the most common cancer in American women. An estimated 2.8 million women are currently living with breast cancer in the United States. It can be deadly, accounting for about 40,000 deaths in 2013. Mammography screening helps identify breast cancer early before there are symptoms, which lowers the risk of dying. The five-year survival rate for people who discovered breast cancer when it was still “localized” is nearly 99 percent. Frank says the risks of getting breast cancer increase as women age. One out of eight invasive breast cancers are found in women under age 45. In women 55 and older, that number jumps to two out of three breast cancers. Mammograms have been shown to lower the risk of dying from breast cancer by 35 percent in women over the age of 50. Medicare covers the cost of a mammogram screening once every 12 months. Medicare Advantage (MA) plans, such as those affiliated with WellPoint, frequently send reminders to their members about the importance of getting a mammogram. Some even provide their members with a reward for completing the screening. Frank suggests women return to the same place, when possible, to get their mammograms so current and past screenings can be compared. Additionally, he said patients should let no more than 10 days pass before following up with their doctors and should never assume results are negative, just because they haven’t been contacted. Although there are many reasons why a woman gets breast cancer, including some outside of her control, Frank says certain lifestyle changes can help reduce risk. He recommends women take the following preventive actions. Get exercise. Some MA plans include a free gym membership to encourage exercise. Keep a healthy weight, especially later in life. Local social services organizations may be available for those who need help finding nutritious meals. To check for these resources, visit www.benefitscheckup.org. Limit alcohol. Medicare offers counseling to those who need help to quit drinking. Don’t smoke or quit if you do. A recent study by American Cancer Society found that current smokers had a 12 percent higher risk of breast cancer than women who never smoked. Medicare covers smoking cessation products for those who need them. Talk to a doctor. Finally, and perhaps most importantly, Frank reiterated how critical it is to talk to a doctor about getting regular mammograms. Anyone who is concerned about breast cancer, or who has symptoms, such as a lump, swelling, redness or irritation, should contact their doctor. For more information about breast cancer, visit www.cdc.gov/cancer/breast/. 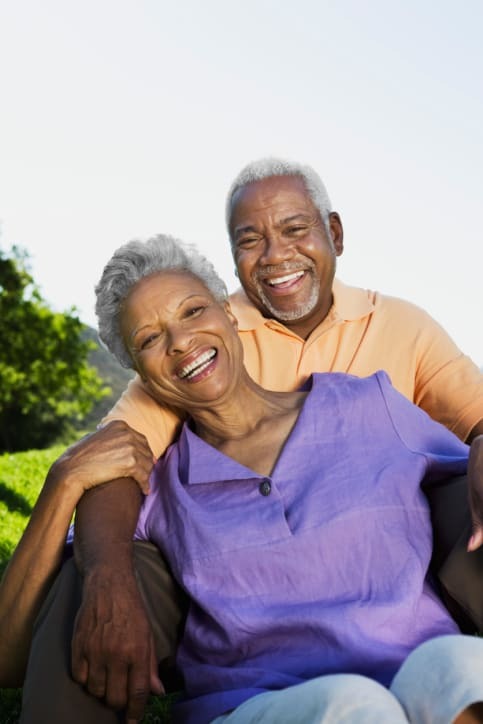 WellPoint affiliates are PPO, LPPO, RPPO and HMO plans with a Medicare contract. Enrollment in WellPoint affiliates depends on contract renewal. WellPoint is one of the nation’s leading health benefits companies. We believe that our health connects us all. So we focus on being a valued health partner and delivering quality products and services that give members access to the care they need. With nearly 67 million people served by our affiliated companies including nearly 37 million enrolled in our family of health plans, we can make a real difference to meet the needs of our diverse customers. We’re an independent licensee of the Blue Cross and Blue Shield Association. We serve members as the Blue Cross licensee for California; and as the Blue Cross and Blue Shield licensee for Colorado, Connecticut, Georgia, Indiana, Kentucky, Maine, Missouri (excluding 30 counties in the Kansas City area), Nevada, New Hampshire, New York (as the Blue Cross Blue Shield licensee in 10 New York City metropolitan and surrounding counties and as the Blue Cross or Blue Cross Blue Shield licensee in selected upstate counties only), Ohio, Virginia (excluding the Northern Virginia suburbs of Washington, D.C.), and Wisconsin. In most of these service areas, our plans do business as Anthem Blue Cross, Anthem Blue Cross and Blue Shield, Blue Cross and Blue Shield of Georgia and Empire Blue Cross Blue Shield, or Empire Blue Cross (in the New York service areas). We also serve customers in other states through our Amerigroup and CareMore subsidiaries. To find out more about us, go to wellpoint.com.